Nothing says you're with the times quite like a carefully selected piece of Pandora jewellery. Designed to add glitz and style to outfits of all kinds, Pandora jewels are all you need to enjoy the tasteful look of class and prestige. It's a brand that has met the expectations of many jewellery enthusiasts since 1982, and continues to dazzle many with its timeless designs and choice of precious stones. Pandora stores in the Middle East can be found in all major cities, from Dubai to Qatar, Bahrain and Oman. What makes Pandora jewellery so unique is their use of carefully refined diamonds and precious stones. The company uses skilled craftsmen to carve their stones, ensuring that each piece bears a unique form and the unmistakeable tell tale signs of a professionally crafted creation. 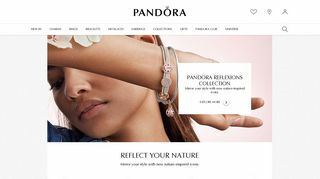 Pandora jewellery comes in five major categories, these being rings, necklaces and pendants, earrings, bracelets, and charms. The rings are made from gold and silver, with gemstone accents and intricate details that give them distinct style. 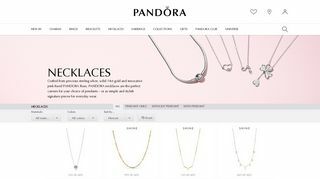 Pandora necklaces and pendants are made from sterling silver and 14K gold. They come in multiple contemporary designs that can be customized for a personalized look. Pandora earrings include drop earrings, ear studs, hoops, and pendants. They come in 14K gold and sterling silver combinations, with shiny gemstone accents that add style to the earrings. 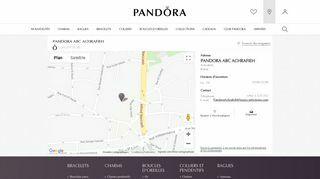 Pandora bracelets are made from 14 K solid gold, sterling silver, leather or textile and can be fully customized to each customer's preferred style. From ultra thin bracelets to chunky pieces that make a bold style statement, there is a bracelet for every occasion. With over 600 Pandora charms to choose from, you'll quickly find one that best symbolizes every special milestone and moment in your life. They are available in silver, gold and two-tone designs. Each Pandora jewellery collection is founded on a unique concept. The Essence Collection features symbolic jewellery and targets women who like to find some form of identity in their jewellery. Use this jewellery to show your character, values, aspirations, and desires. The Rose Collection comes in a soft rosé color and is accentuated by sparkling gemstones and soft details that give it a feminine touch. Inspired by the warm summer vibe, The Summer Collection is vibrant and playful. Wear it to any occasion and to feel good when idling around the house. The Autumn Collection is a luxurious line full of inspiration and style. Perfect for classy evening events or an easy night out with the girls, this is one jewellery line you'll want to possess for whenever you want your moods uplifted. More stylish jewellery collections from Pandora are Disney, Moments, NFL Team Charms, and The Mothers' Day Collection. 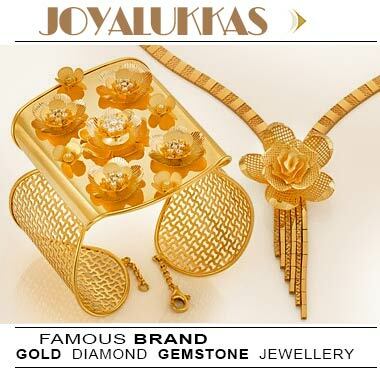 In addition to these, there is a selection of Collector's Items that are timeless, exquisite and beautiful. Buy them for yourself or gift a loved one with one of these. They make excellent display items. 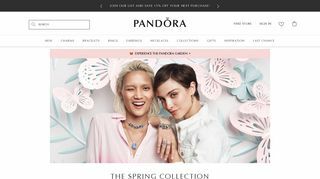 Pandora Jewellery is among the leading jewellery brands in the Middle East, with stores in every country and major city in the region. 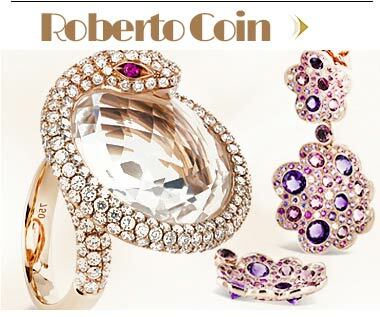 Visit your store of choice for stylish earrings, rings, bracelets, charms necklaces or pendants.